Christmas is less than two weeks away, but there are no signs of WKM Accountancy Services slowing down yet – as others are winding down, we’re working hard to help businesses get their finances in order for the new year, and submit their self assessment tax returns before January 31. 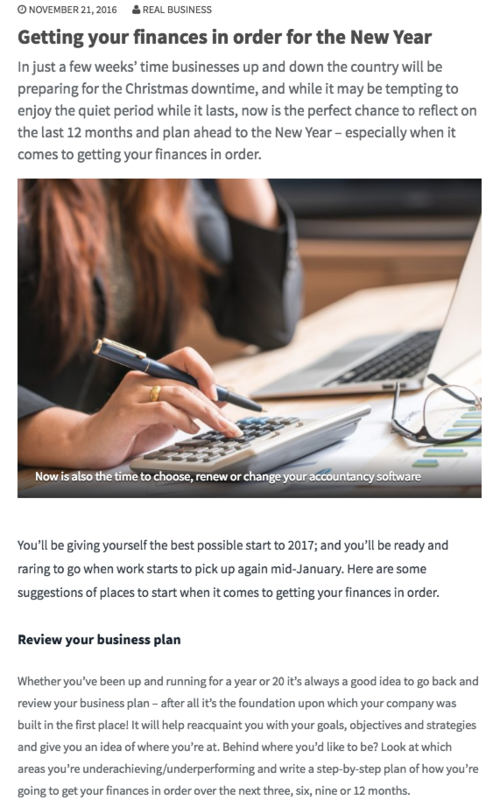 If you’re looking for some advice on how to plan for 2017, then check out this piece (http://realbusiness.co.uk/accounts-and-tax/2016/11/21/getting-finances-in-order-new-year/) that we recently wrote for Real Business, with top tips including: review your business plan, set some new goals, reconsider your accountancy software and keep up-to-date with changes in the law. Reconsidering your accountancy software is a must for anyone who is going to be affected by the upcoming Making Tax Digital changes as HMRC (currently) has no plans to provide their own free software. Writing for Small Business, we scrutinised a number of paid for and free accountancy packages including Xero, QuickBooks and Capium. 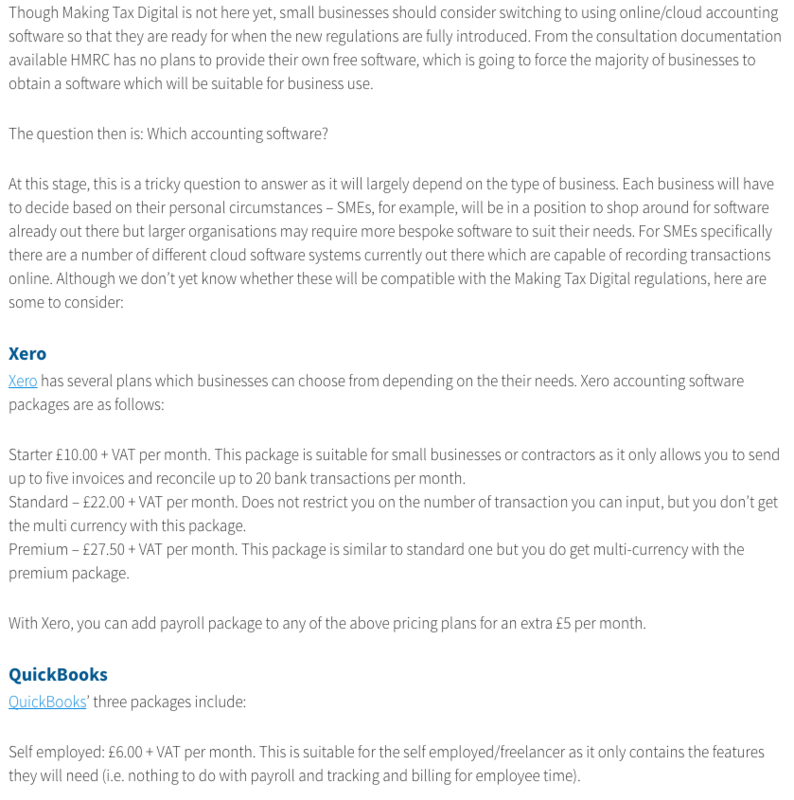 For the full article, visit http://smallbusiness.co.uk/accounting-software-making-tax-digital-2535039/ (http://smallbusiness.co.uk/accounting-software-making-tax-digital-2535039/). 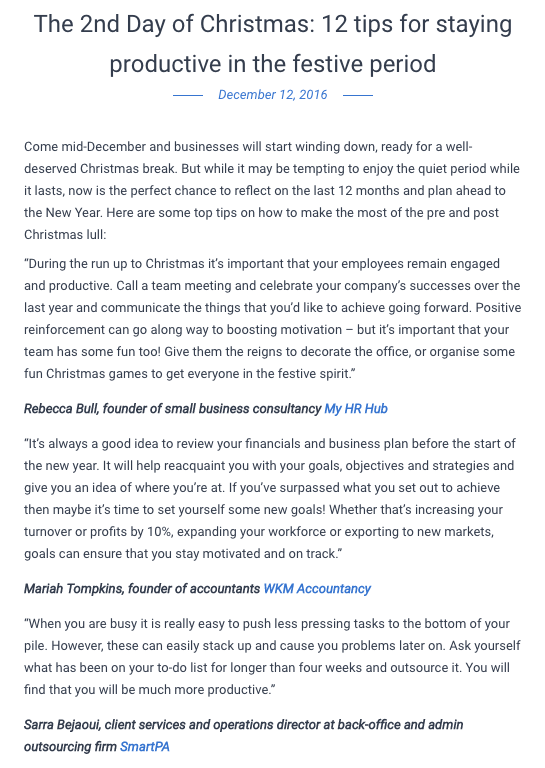 We also got involved with Company Check’s 12 Days of Christmas, providing our top tip for staying productive in the festive period. 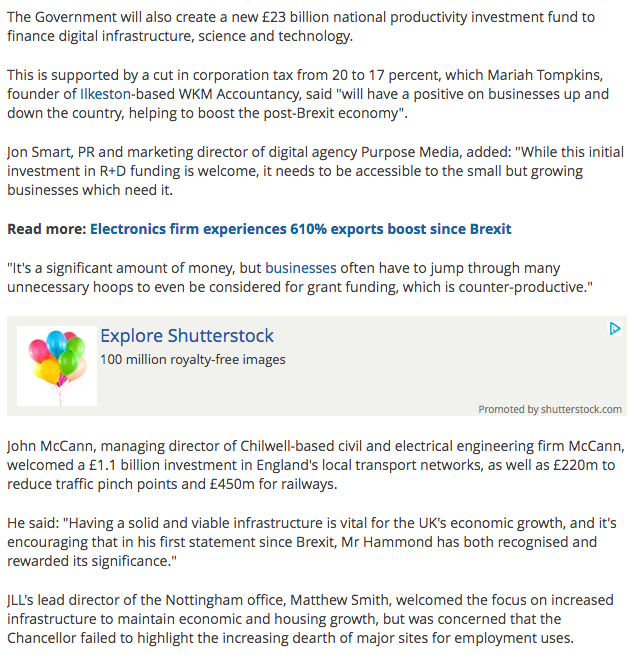 And lastly, we spoke to The Nottingham Post about the Autumn Statement and the announcement of the 3% cut to corporation tax. There’s no doubt that this, along with the increase in Rural Rate Relief, will help businesses across the UK. What does the 2017 Budget mean for you?